With the start of the new season on 1 September, the links from the website have been updated. The current season link will point to the 2015-16 calendar, last season will point to the 2014-15 calendar, and next season will point to the 2016-17 season. The 2013-14 calendar (previously last season) has been archived. 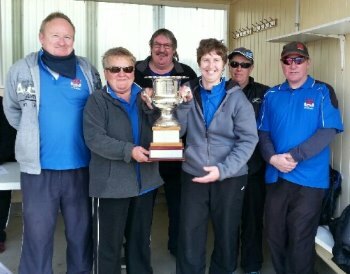 Video from the 2015 Trans Tasman match played at the Pyrenees Pétanque club, Avoca, Victoria. The game is from Round 2 and features Kapiti's Annick Le Guen. Upper Hutt defaulted their Jacques Cochonnet challenge match against Kapiti on 26 July. Kapiti were on the road again in their latest defence of the Jacques Cochonnet Challenge trophy. This time they were at Wanganui East and after a slow start were behind 1-2 after the first round and then 2-4 after the second. Needing to win all three games in the final round they were successful in the Singles and Triples, but couldn't quite get there in the Doubles. Wanganui East's first defence is at home to Horowhenua. The winning team with Jacques! 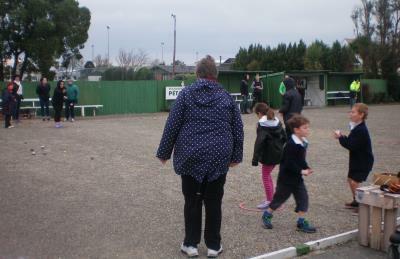 The match will be played at the Manawatu Pétanque club, Palmerston North, on 22-23 August. Christine Strichen, Sharon Cannon and Claire Wilson make the Wanganui Chronicle. Wanganui East wasted no time in putting the Jacques Cochonnet trophy on the line. Just six days after their successful challenge, Wanganui East faced Horowhenua at home. Wanganui East's second defence is at home to Hataitai. Video from the 2015 Hawke's Bay Autumn Triples final played at the HBLTS Pétanque club, Napier. 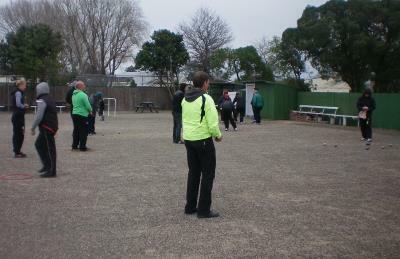 Manawatu Pétanque recently hosted Sport Manawatu staff on a typical cold, windy and rainy Friday afternoon in a Get to Know Pétanque Time. Ann was aghast as the children who took over from the parents could get their boules closer to the cochonnet after a few throws. Sixteen teams have entered the Manawatu Troublesome Triples (Saturday, 29 August). The start time is 9:00 for 9:30 am.